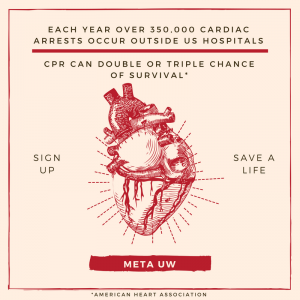 Join META UW for our last CPR Course of the School-year this Sunday, May 27th, from 2 – 5pm! 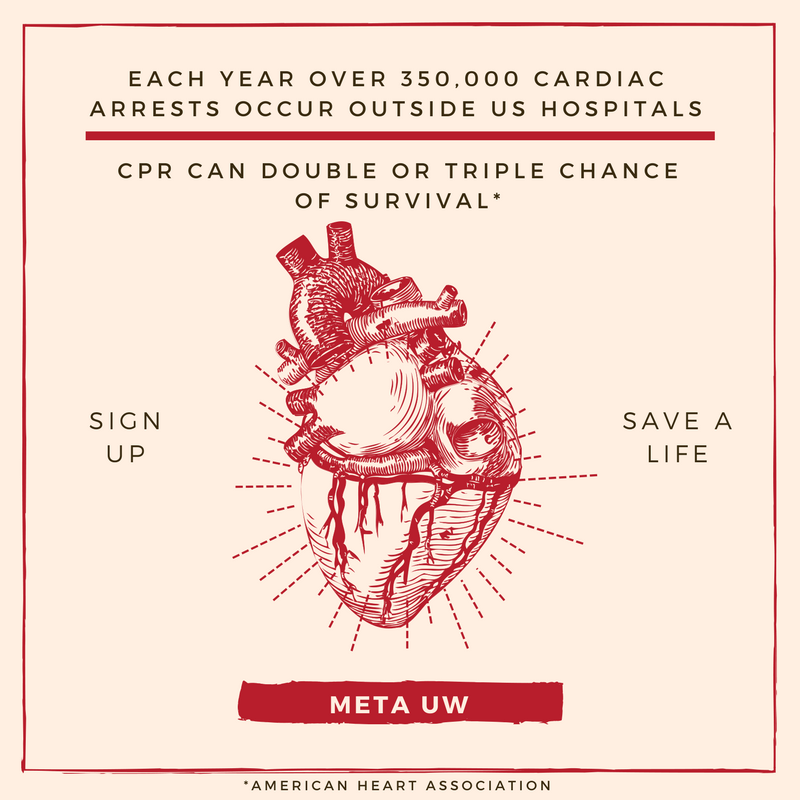 META UW is an RSO dedicated to teaching American Heart Association CPR/Basic Life Support classes around the UW campus and Seattle area. Please register here for the class! See you there! Like our Facebook page to stay up to date on classes and email us at metauw@uw.edu if you have questions! This entry was posted in Course of Interest, General Interest, Prehealth Events, Student Groups. Bookmark the permalink.